4 Bedroom, 2 Bath House On The Club Circle Golf Course With Stunning Views! With a distinctly mid-century vibe, this house is both spacious and beautifully maintained. It features an open floor plan with a well-appointed kitchen, dining area, large living room with a stone fireplace and a bright sunroom. The four bedrooms include a master with a Cal-King bed, a queen bedroom, a twin bedroom and a bedroom with a full sized futon. The house has two newly remodeled (summer 2016) bathrooms. Enjoy the outdoors day and night from the large flagstone patio overlooking the 8th and 9th greens of the Club Circle Golf Course and the spectacular Santa Rosa Mountain Range beyond. A Weber barbecue, a fire pit and a propane heater are provided for outdoor cooking and star gazing. The house is within easy walking distance to the Borrego Springs Resort and Spa and all of its amenities are available for a nominal fee: golf, swimming pool and heated spa, tennis courts, fitness room and day spa.The lovely Arches Restaurant is open daily for breakfast, lunch and dinner and the lounge offers cocktails, appetizers and food-to-go. We're sorry but we are unable to accept pets at this property. Borrego is located in the Anza-Borrego Desert State Park. The park is the second largest state park in the US and encompasses over 600,000 acres of desert including beautiful wildflowers in the month of March. It also offers panoramic vistas, palm canyons, and rugged mountains which are inhabited by the endangered Peninsula Bighorn Sheep. Beautiful skies at night, spectacular sunrises and sunsets, make this a perfect getaway. For more information on the state park, local programs, and activities, Google Anza Borrego Desert State Park, Borrego Springs Chamber of Commerce, and Anza Borrego Desert Natural History Association. We completely enjoyed our recent stay at this house during the "superbloom." It is comfortable, clean, and tastefully decorated in a 1950s-60s style. Not only are there 4 bedrooms, but the rest of the house provides ample room for relaxing and entertaining. There is a living room near the front, as well as more sitting/relaxing areas at the back of the house, overlooking the golf course of the Club Circle Resort. The kitchen boasts appliances that bring back memories of mom cooking in the 60's (all work fine by the way). There was also ample cookware and tableware, making eating in easy. We would stay here again. Perfect size house for a family of 5. We loved the house and the view out the back. Lots of room so we did not feel crowded. Very quiet. Nice neighbors. Fully stocked with all you need. The kids appreciated all the toys available as well as the good stock of movies. We would come again! Thank you, Judy! We're so glad you and your family enjoyed your stay. Please come again. The communication from Robin was great. We got the directions to the house and the access code in a very timely manner. The house itself is very retro. It felt like we stepped back into the 50s. The beds were comfortable, but the pillows need some upgrading. There were adequate dishes, but many of the cups needed a good washing as did the coffee maker. This would be a great place to stay if the house were given a good cleaning. 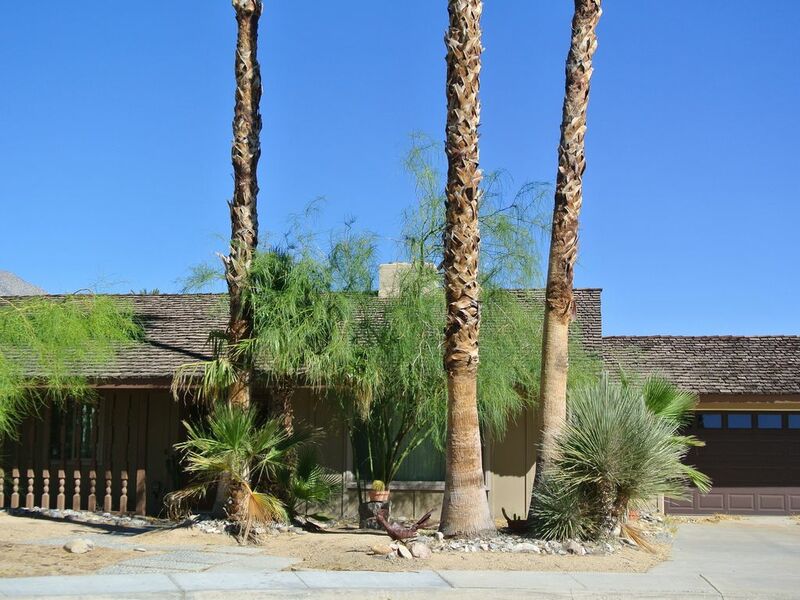 Other than that, great location, quiet neighbors, and a great place to look at the beautiful stars in Borrego. This house was perfect for a group of six birdwatchers. It was very comfortable and met all our needs and the location was great! Very pleasant. Happy we were able to stay in your home.